Truro City's reputation among other clubs has improved, according to manager Steve Tully. 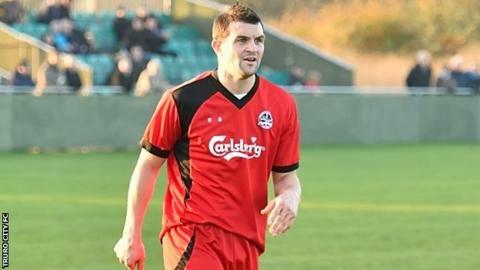 The former Exeter City defender and brought in loan players from a host of Football League clubs. "Nobody wanted to touch us and nobody wanted to do business with us," Tully told BBC Radio Cornwall. "But now we've got links with Yeovil, MK Dons, Exeter, Plymouth, Torquay - we've opened all those links again." Tully currently has MK Dons goalkeeper Charlie Burns, Torquay winger Niall Thompson and Bristol Rovers defender Danny Greenslade on loan. And he says City, who two years ago, are now a club that players want to come to. "We make sure we look after the players when they come here, and the chairman, club and staff do everything they can to make them feel welcome," he continued. "That's the really encouraging sign. We make sure that if we do get loan players in, we do look after them and they want to come back. That's the biggest thing for us. "We're getting phone calls saying they want to come back, which is really positive for the football club."